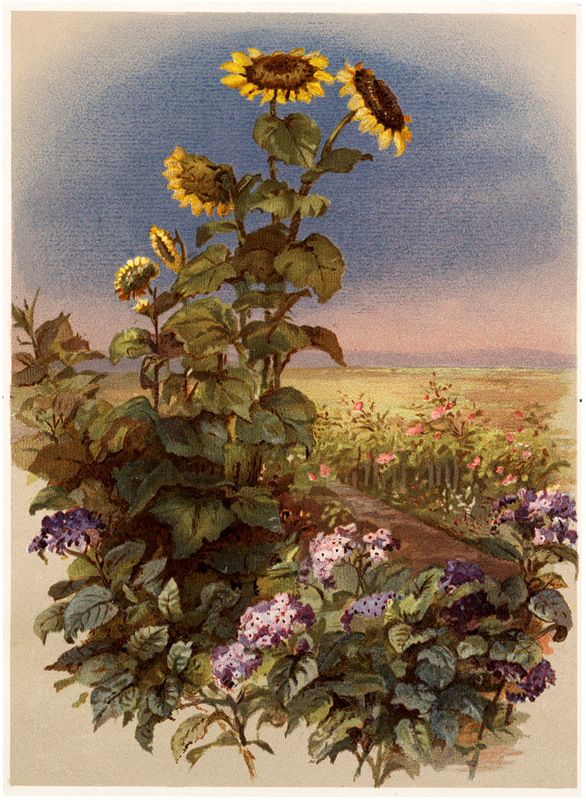 Today I’m sharing this Vintage Tall Sunflowers in Garden Image! This beautiful rendering of yellow sunflowers waving in a blue sky is lovely. Below the sunflowers are tiny white and purple flowers and green plants with pink rose bushes in the background. There is a thin cream border around the postcard painting. So nice to frame as is or use in your Craft or Collage Projects! Thanks so much for sunflower/field image, so pretty and restful looking. Will frame for our room. This has to be one of my favourites! There’s so much beauty to this – thank you very much!